Brazil presidential favorite Jair Bolsonaro, who has been hailed as "Brazil's Trump," was stabbed in the street on Thursday by a deranged socialist. Bolsonaro is a pro-gun, pro-family, "far-right" traditionalist and nationalist who is viciously lied about by the fake news media in Brazil. Brazil's far-right presidential candidate has survived life-saving surgery after being stabbed by a 'socialist' attacker who said he was acting on 'a mission from God' during a rally. Shocking footage showed the moment election hopeful Jair Bolsonaro was knifed in the stomach in the midst of a crowd in Juiz de Fora, Minas Gerais, south east Brazil. The 63-year-old has since been transferred to intensive care after undergoing a procedure for serious internal injuries and is now stable and out of 'acute and immediate danger'. 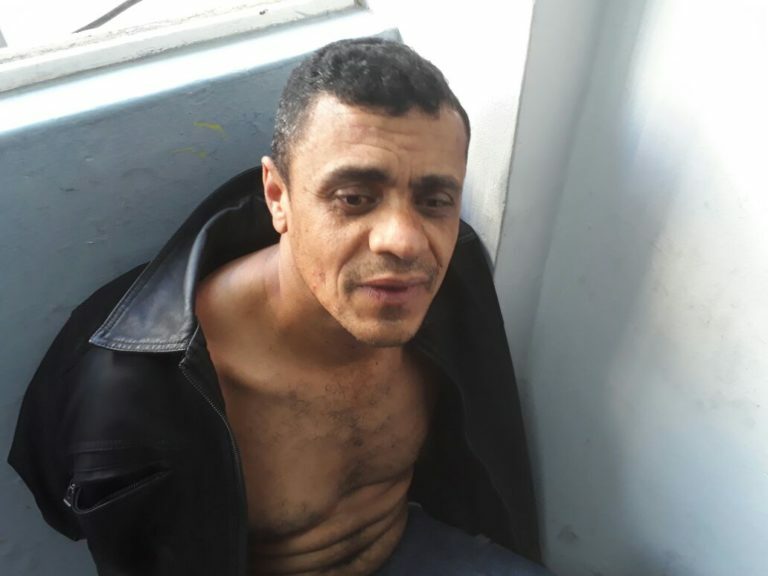 A 40-year-old suspect, identified by police as Adélio Bispo de Oliveira, has been arrested over the attack with police saying he appeared to be mentally disturbed and had claimed he was 'on a mission from God'. Oliveira was said to be a member of the left-leaning PSOL party from 2007 to 2014. 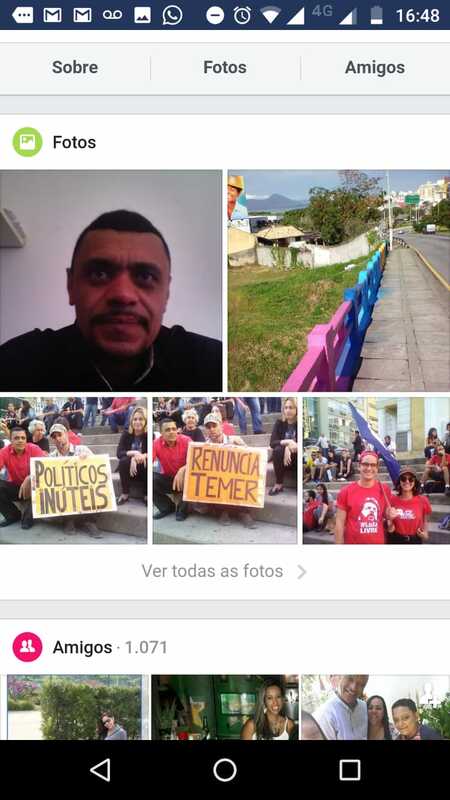 On his Facebook page, the attacker recently posted messages criticizing Bolsonaro and supporting the socialist government of President Nicolas Maduro in Venezuela. 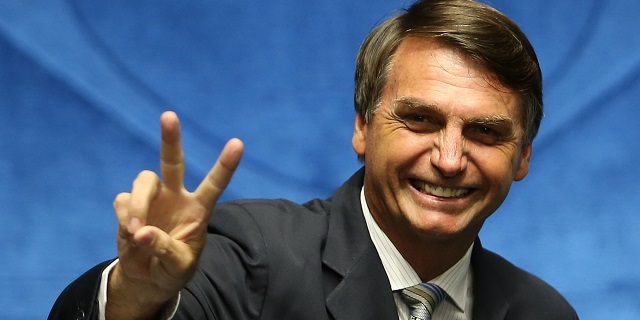 Jair Bolsonaro está mais forte do que nunca e pronto para ser eleito Presidente do Brasil no 1° TURNO! Deus acaba de nos dar mais um sinal de que o bem vencerá o mal! Obrigado a todos que nos deram força nesse momento muito difícil! His son Eduardo said on Twitter: "The stab struck the small intestine and more severely the large intestine. The worst was the large-caliber mesenteric vein lesion. If there had not been a hospital nearby he would probably be dead now from bleeding." Bolsonaro's chances of winning and saving Brazil from total destruction are now even higher. As student Jonatan Valente told the media while at a vigil for Bolsonaro in Sao Paulo, "They made Bolsonaro a martyr." "I think the left shot itself in the foot because with this attack they will end up electing Bolsonaro." Bolsonaro's son Flavio said Friday, "You bandidos that tried to ruin the life of a guy who is the father of a family & the hope of all Brazilians: you just elected the President & it will be in the 1st round." UPDATE: Bolsonaro tweeted Friday, "I'm fine and I'm recovering!" Bolsonaro said in a follow-up tweet: "I thank you from the bottom of my heart to God, my wife and children, who are by my side, the doctors who care for me and who are essential so that I can continue with you here on Earth, and all for support and prayers!" Agradeço do fundo do meu coração a Deus, minha esposa e filhos, que estão ao meu lado, aos médicos que cuidam de mim e que são essenciais para que eu pudesse continuar com vocês aqui na terra, e a todos pelo apoio e orações!